More than 50,000 small-scale systems were installed in the first quarter this year, with a total capacity of 259,889 kW. 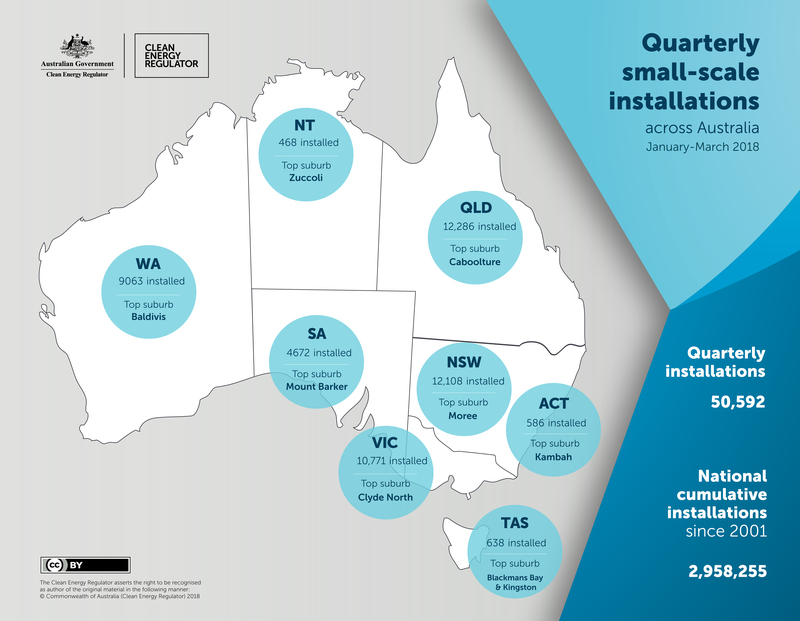 Kambah made the top suburb in Canberra with 586 installations. This map shows the total number of small-scale renewable energy systems installed under the Small-scale Renewable Energy Scheme in each state and territory for January to March 2018, the top performing postcodes for each state and territory, and the national cumulative installations since 2001.